›Cal Mil 1602-3-13 3 gal Black Beverage Dispenser with Ice Chamber - 7.375 x 9.375 x 25.75 in. Cal Mil 1602-3-13 3 gal Black Beverage Dispenser with Ice Chamber - 7.375 x 9.375 x 25.75 in. 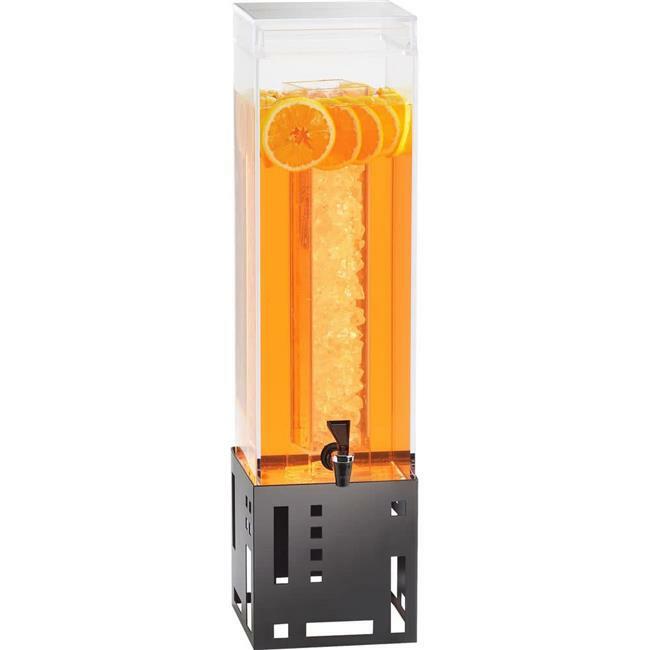 Made from lightweight and durable acrylic, this clear dispenser elegantly displays any beverage of your choice. Each beverage dispenser features a removable ice chamber to keep your beverages cold and fresh and securely sits on a square metal base.